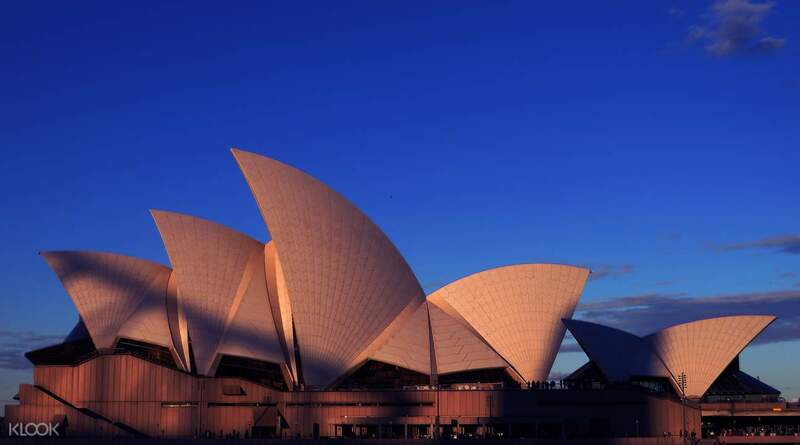 For any visitor to Sydney, nothing captures the beauty of the city like a cruise along the harbour. 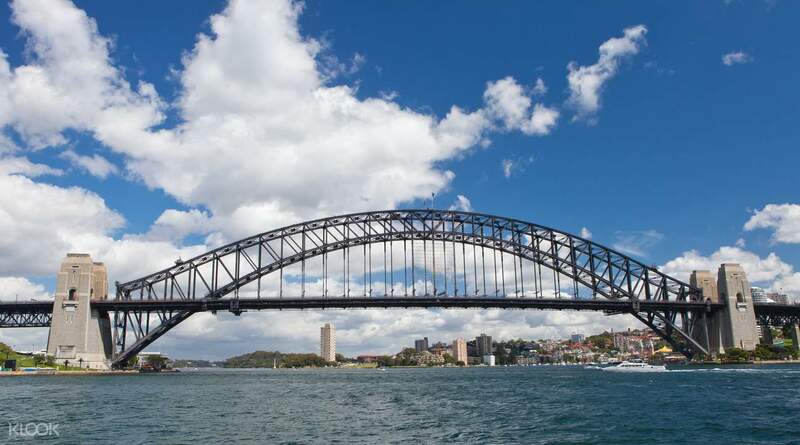 See the best sights of Sydney from the water on this 90 min cruise along the waterfront! Cruise by the Sydney Opera House, Harbour Bridge, Darling Harbour, Bradley’s Head, the mansions lining Point Piper, and more! The captain and crew will provide commentary so you can learn more about the history of the city and point out many interesting sights. Make sure to have your camera ready for some of the best photo opportunities around! 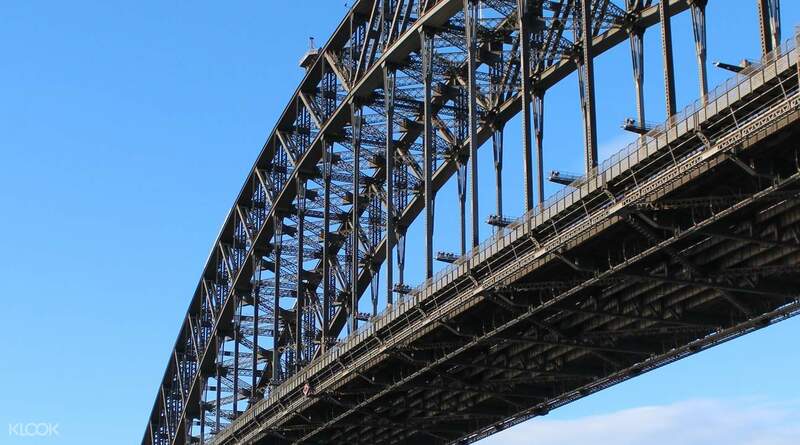 Cruise past Sydney Harbour Bridge and other iconic locations! We really enjoyed the cruise..went there on a weekday, about only 20 people onboard. we get to take a close up picture with sydney opera house, harbour bridge, and other attractions. The only downside is that they didnt tell you when the drinks will be served...its that you have to get it yourself from the bar at the lower deck while the ship still cruising. We really enjoyed the cruise..went there on a weekday, about only 20 people onboard. we get to take a close up picture with sydney opera house, harbour bridge, and other attractions. The only downside is that they didnt tell you when the drinks will be served...its that you have to get it yourself from the bar at the lower deck while the ship still cruising. The cruise gave us great views of the landmarks like the Sydney Opera House and the Harbour Brigde etc. There was some technical difficulty for the GPS commentary of the landmarks but overall, it was a good cruise to go and well worth the money. The only poor comment is for the bar counter crew who has a poor attitude and refuses to give us our cup of tea and told us that the cruise is reaching the harbour soon and we cannot get our coffee/tea. The cruise gave us great views of the landmarks like the Sydney Opera House and the Harbour Brigde etc. There was some technical difficulty for the GPS commentary of the landmarks but overall, it was a good cruise to go and well worth the money. The only poor comment is for the bar counter crew who has a poor attitude and refuses to give us our cup of tea and told us that the cruise is reaching the harbour soon and we cannot get our coffee/tea. The short boatride along SYdney harbour was lovely, with great views of the Opera House. It would have been nice to receive some information about all the sights though. The short boatride along SYdney harbour was lovely, with great views of the Opera House. It would have been nice to receive some information about all the sights though. Very enjoyable cruise. The weather was good, good view of Circular Quay and Darling Harbour. Very enjoyable cruise. The weather was good, good view of Circular Quay and Darling Harbour. Very recommended cruise. You can take pictures from a lot of perfect angles. The commentary is very informative as well. Along the way, you can see Sydney from a lot point of view. Very recommended cruise. You can take pictures from a lot of perfect angles. The commentary is very informative as well. Along the way, you can see Sydney from a lot point of view. I thought this tour was just ok for me because it rained and a lot of EF student. It is too short round cruise. I thought this tour was just ok for me because it rained and a lot of EF student. It is too short round cruise. Wonderful scenery,should never miss this kind of trip. Must check in early because difficult to find park ( advise to self drive traveler). Jetty 6 , is the last wharf. Wonderful scenery,should never miss this kind of trip. Must check in early because difficult to find park ( advise to self drive traveler). Jetty 6 , is the last wharf.